In great restless fashion I found myself back in LA this week. My mom had won some tickets to see The Sound of Music which just opened down at The Ahmanson. As an unemployed vagabond, it was the best excuse I could find to get back to my hometown. 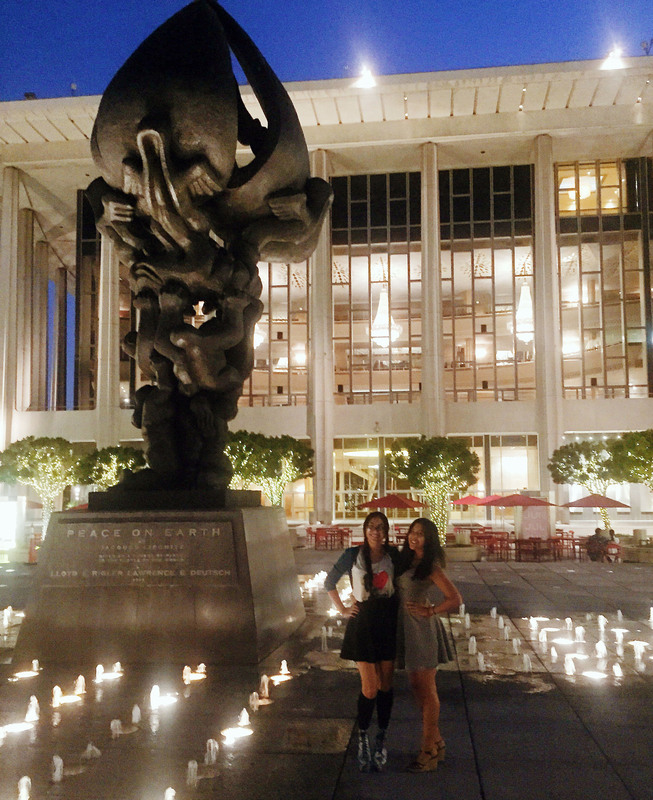 My little sister, the theater production major, joined us for the evening studying the show with a critical eye. Now I’m going to take a bit of detour here both figuratively and literally to talk about traffic in LA. Any rightful Angeleno could write a manuscript on LA traffic as long as War and Peace (wouldn’t be a bad title either.) Luckily for you, the only point I’m making today is that traffic in this city is unpredictable. Sure you have your trends, rush hours, the usual. But to quote an exact time in which you can make it to a destination is near impossible, even for your “rose gold” iPhone 6s’ GPS. Long story short, my mother and I missed the exit we should’ve taken and realized the next was going to drop us in the heart of Chinatown. A quick phone call to my sister enlightened us that she was about an exit away from Chinatown as well. Impossible to time such an occurrence any better as we drove from the valley and she all the way from San Diego. Alas we did what any Chinese American family would do and stopped at our usual Dim Sum spot, this time for a seafood dinner. Post pre-theater dinner: pre-theater photoshoot with my sister. Seeing how cultures shape ethnic foods has always been incredibly interesting to me. I often pop into fast-food chains abroad just to see what specialty cuisine they may offer. Growing up to hear peers say how much they love Chinese food because “Panda Express is awesome!” I couldn’t be more aware of this cultural influence. I think I learned to control my anger at a young age simply through remarks like this. “Panda. Express. Is. Not. Chinese. Food.” I would attempt to explain. With age comes wisdom, and now with a full 23 years under my belt I’m beginning to accept the idea of American Chinese food. In an unrelated incident I watched a very niche documentary on General Tso’s chicken (which admittedly I do not eat.) But the documentary is enlightening, quirky, and visually stunning. Best of all, it’s currently available on Netflix. It’s fascinating to consider the idea of a dish going viral. Sorta like this post! Share with your friends, pass along on pinterest! And if you’re not done yet with Chinese food, you’re in luck. Tonight is the Mid-Autumn Festival (along with a Supermoon Eclipse). Try out one of these recipes tonight if you want to try your hand at some more traditional Chinese foods. Mooncakes anyone? P.S. The Sound of Music was brilliant; if you have the opportunity to see it I highly recommend! Glad you enjoyed Sound of Music. I love mooncakes! Sometimes I eat them even if it’s not the technical season. Really interesting post, thanks. I’ve been all around the world and eaten various different types of food – it’s such an important part of culture. I completely agree. Food brings people together! I love when things come together unplanned! That documentary sounds interesting, too. Well, just the fact that it’s a documentary and is titled after food is good enough reason for me to look it up. Sounds like an awesome family date! I love a good documentary too! This one is not too long (just over an hour IIRC) so it’s easier to find the time to watch. Just make sure you have some snacks because it will make you hungry! My neighbor gave us moon cakes and I thought they were delicious. I understand all about traffic and thought your war and peace analogy was hilarious!! Thank you! Traffic is the worst, but you have to make the best of it! Ahhh…Your photo has put me in a dream state about dim sum. I was introduced to it by my husband on our first date many moons ago. We have two awesome dim sum restaurants here in Sacramento, CA. Although we try new items from the little carts that circulate, we always seem to focus on our favorites: Cheong Fun, Siu Mai, Fried Shrimp Balls, Har Gow, Sesame Balls, Steamed Pork Bao, etc. I will need to try Mooncakes soon. I saw them in sweet little packages at Costco this past week. I would love a first date to Dim Sum! How cute! Siu Mai, Har Gow, and Char Sieu Bao are some of my favorites too. You’ll have to try the mooncakes, but beware they’re very heavy! We eat only a sliver at a time ahah. 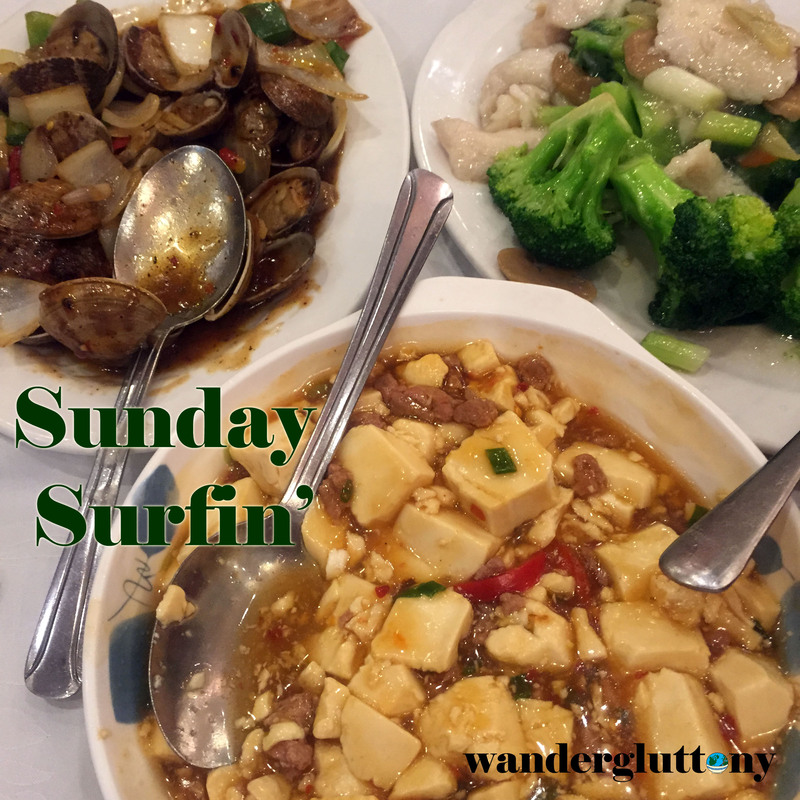 Love your blog post about theater and American Chinese food (there is only one place in town that I go for EXCELLENT food) and Sound of Music?!! Great minds and tummies think alike! I would love to try Moon cakes some day! Thank you! And you totally should. They’re unlike any other dessert, dense with lotus paste and egg! I can understand the reticence about it, and I had no idea about the virality of General Tso’s Chicken. I need to watch that Netflix show! I need to try a mooncake– I’ve never had one before and I’m dying to try one! I’m the Asian that loves Panda! Lol but I prefer the real stuff anytime. I love going to Chinatown. Those black bean clams look delicious! I have only ever seen a mooncake…I have never had the chance to try one. That food looks absolutely fabulous!